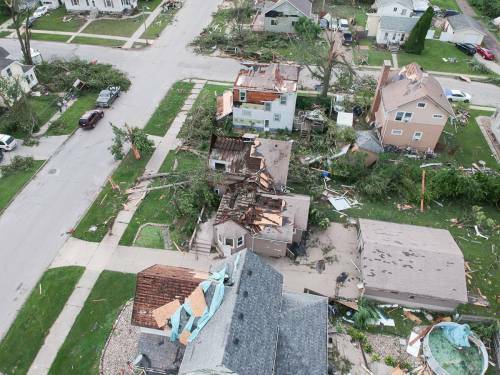 LOUISVILLE — A dozen tornadoes slashed through Iowa recently, leaving behind extensive property damage in their wake. Marshalltown, a community of about 25,000 residents, suffered catastrophic damage to its downtown area. While not unscathed from the EF-3 tornado that tore through town last Thursday evening, First Presbyterian Church was more fortunate than most. In the storm’s aftermath, it’s focused on rebuilding and healing through worship and community service to those affected by the disaster. The 400-member church will likely need a new roof. It lost windows in the fellowship hall and sustained damage to its air conditioning units and the school bus it uses for outreach. 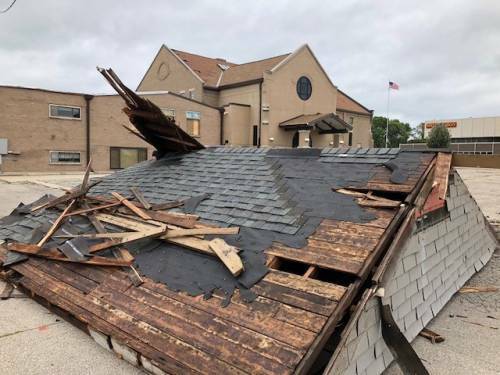 First Presbyterian’s sanctuary survived, and a worship service was held as scheduled on Sunday after the Thursday evening storm despite some of the heaviest property damage occurring only a block away from the church. According to Rottink, First Presbyterian’s “good fortune” created an opportunity for the congregation. 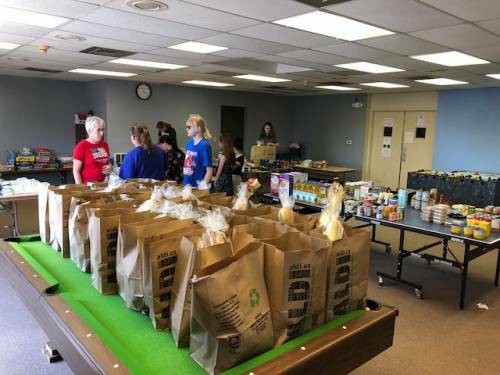 They are providing showers and evening meals for anyone affected by the tornado, as many residents are facing days or weeks of not receiving a paycheck. Rottink, who is filling in this week for the church’s senior pastor, the Rev. Richard King, shared several stories of God’s presence in the wake of the disaster, including a family of 12 migrant workers from Texas who lost their vehicle in the tornado and were stranded in Marshalltown. A congregation member bought them a van, so they could return home. Presbyterian Disaster Assistance (PDA) has offered support in the form of an immediate $5,000 grant to First Presbyterian to help them continue their worship and ministry. According to the Rev. David Feltman, pastor to the Presbytery of North Central Iowa, it’s expected they will apply for long-term recovery assistance at the appropriate time. “PDA stands with our brothers and sisters who have been impacted by the tornadoes and is ready to help support the response and recovery in the best way possible,” said Jim Kirk, PDA’s associate for national disaster response. Those interested in making contributions to assist those impacted by disaster can click here. Presbyterian Disaster Assistance is able to respond quickly to emergencies because of gifts to One Great Hour of Sharing.